Coach Dachelet began coaching at SHS in the Fall of 2014. Since then, he has become the Head Indoor Coach and the Girls Outdoor Head Coach. Coach Dachelet was previously the Head Men’s and Women’s Coach for The University of North Carolina at Greensboro. While at UNC Greensboro from 1999 – 2004, Coach Dachelet took a fledgling cross country program and added indoor and outdoor track. He led14 athletes to All-Southern Conference honors and his Women’s team was an Academic All-American team in each year he coached. Coach Dachelet is a Lieutenant Colonel in the US Marine Corps Reserve where he has served on active and reserve duty since 1993. He is currently a firefighter for the City of Waterbury. Prior to this, Coach Dachelet was a Logistics Manager for Noble Environmental Power in Essex, CT. Since leaving UNC Greensboro, Coach Dachelet has remained active with the sport by being a volunteer track coach with the Connecticut Track Club and as a consultant for Global Athletics where he assisted in the management of Olympic Caliber track meets like the Millrose Games, the Boston Indoor Games and the Adidas Grand Prix. Coach Dachelet was the 5A 1600 m. champion in Texas and went on to compete for Georgetown University as a 3 time All Big East and All East Coast Athlete in the 800 and 1500 meters. He also competed in the NCAA Cross Country Championships for the Hoyas. He has a Bachelor of Science in International Affairs from Georgetown and a Masters in Education from UNC Greensboro. Coach Dachelet resides in Haddam, CT with his wife Kim and step-daughter's Meghan and Sarah Gamache. Meghan does crew at University of New Hampshire and Sarah is an avid runner. Coach Green started his career at Southington High School as a Volunteer Cross Country Coach in the Fall of 2013. During that time he helped implement strength and conditioning routines for the team. During that same year he was the Boys Assistant Track and Field Coach at Berlin High School for one season before coming back to Southington in the Fall of 2014, where he would continue to work as an Assistant Coach for the Cross Country team. He then accepted the position of Assistant Coach for both Indoor and Outdoor Track. In his first year with the Girls Indoor and Outdoor Track team, he coached multiple athletes to Class LL qualifying marks as well as having 5 girls break the 30 foot mark in the triple jump, which was a first time for the program. Also, the 800m Sprint Medley Relay of Sarah Palko, Jessica Howe, Kelsea Allen, and Raquel Romano became the first relay to qualify for the New Balance Outdoor Track National Championships in the programs history, as well as coaching freshman Tayler Riddick to a qualifying mark in the Freshman Triple Jump at the same meet. A former 3x All-Conference Cross Country runner for Wethersfield High School, graduating in 2009, he was a member of 2 state championship track seasons (Class MM, L) during his junior and senior year. After running Varsity Cross Country at Merrimack College his freshman year, he came back to Connecticut and earned an Associates of Science in Health and Exercise Science from Manchester Community College and then a Bachelors of Science in Exercise Science from Central Connecticut State University. Coach Green works full-time at Anytime Fitness Farmington, where he uses his background in strength and conditioning and health science to help clients of all ages get healthy and happy. Coach Roston switched her career from marketing to fitness in 2016. She started as the Assistant Track and Field Coach for Rockville High Spring 2017. She is an associate and representative for soundRUNNER located in Glastonbury, CT. She instructs run programs, spinning and bootcamps for local gyms and Dur-A-Flex, Inc.
Coach Roston started her running career with Willimantic Athletic Club and competed in the Junior Olympics in 1997-1998. During this time, she trained with a local running coach to help improve speed, mileage and technique. Coach Roston ran varsity cross-country and competed in long distance in track & field under Mr. Guerra at E.O.Smith High 1999-2003. She ran for the 2nd overall team in the 1999 CIAC Girls State Championship. She was part of the winning team 2000 Class M CIAC Championship. She attended 5 running camps in Pennsylvania and Utah through high school to prep for cross-country season. Coach Roston trained herself and completed 2 marathons through college. She completed over 8 half marathons, several 5ks, 10ks, 65/100 mile bike races, 16 obstacle races, and 3 of the hardest Killington, VT Spartan Races averaging out to 16 miles with 32 obstacles. Coach Roston’s professional goal is to train and motivate others to reach their personal fitness goals, while maintaining a healthy and active lifestyle. While her personal goal is to be happy, healthy and to maintain a certain strength that allows her to compete regularly. After retiring from the corporate IT world in 2014, Coach Lombardi coached at SHS for 2 spring seasons and volunteered for 2 SHS cross country seasons. In 2015 he started as the the assistant cross country coach at at DePaolo middle school. He has coached travel soccer for 8 year, with 4 of those years as a referee as well. His personal running career focused on the 100, 200, relays, and low hurdles at SHS and Central Connecticut State College. In 1969 he was Central Valley Conference Champion in the now defunct 180 yard low hurdles. More recently he has done approximately 125 triathlons of various distances, including 2 Ironman events along with many road races and marathons. 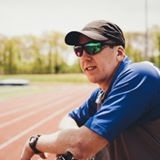 He also belongs to the HEAT triathlon club (Hartford Extended Area Triathletes). Coach Nate Mozian is an SHS alumni from the class of 2010. He played varsity soccer for three years and JV for one year and was named a two time all conference player. His junior and senior year he helped lead the time to back to back quarter final appearences in the state LL tournament. He was also a three year member of the track team, running the 110 and 300 hurdles, along with the 4×4 and occassional quarter mile. He was named an all conference 300 meter hurdler and his 4×4 team held the school record for a handful of years. Choosing to play soccer at Eastern CT State University, he saw time as a freshman and sophomore, but decided to focus more exclusively on maintaining overall fitness after being ultimately placed on the Injured Reserved list due to a groin issue. At ECSU, he was part of a team that won 3 consecutive conference titles and 2 consecutive appearences in the NCAA tournament. Coach Mozian currently is a substitute teacher in the district, as well as a producer of live college sports throughout New England. He is also an assistant with the boys varsity team at SHS. Having always wanted to be in a coaching position, he is beyond excited for the opportunity to work with young dedicated athletes and share some of his experiences. He holds a Bachelors Degree with a Communication Major and resides in Glastonbury, CT. "